Guildonian Players: Our next show is coming soon! Our next show is coming soon! 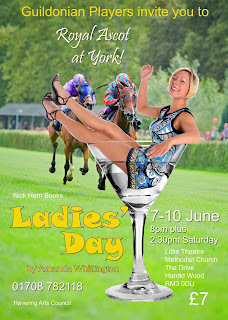 Ladies' Day, by Amanda Whittington, is our June play - and a great night's entertainment is on offer. It is an exuberant comedy about four likely lasses from the Hull fish docks. Work, love and life are just one long, hard slog for this fish-filleting foursome - until they have a trip to Ladies' Day at Royal Ascot the year it relocated to York. 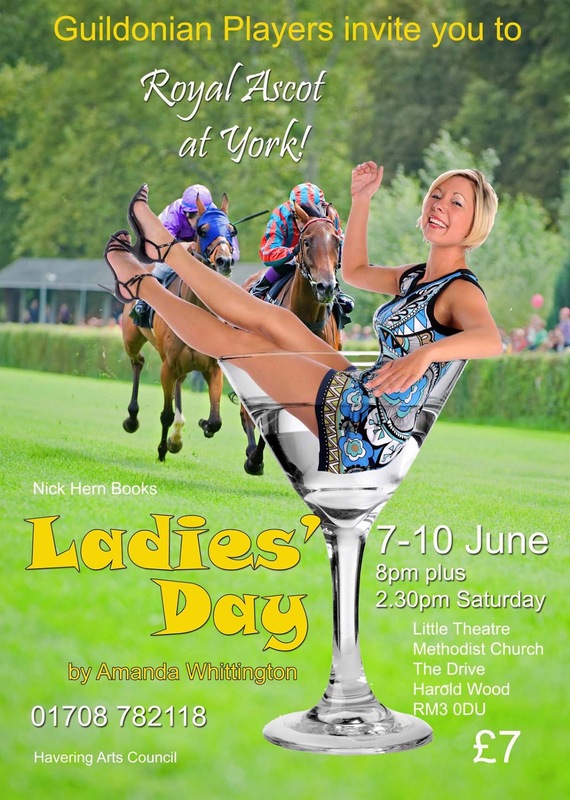 Drinks, flirting and a flutter - it turns out that people are not always what they seem ... Ladies’ Day is Guildonian’s entry into this year’s Havering Drama Festival.